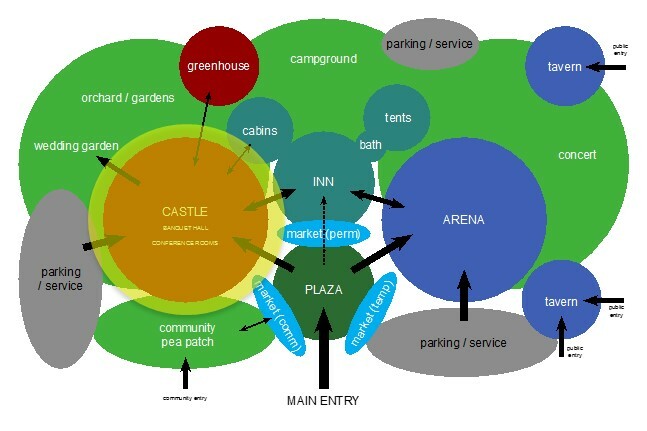 Highlights indicate the location of the Castle and Great Hall, on the park property. Everyone loves a good castle! At Dreamhaven, one of our primary attractions is our fantasy castle. 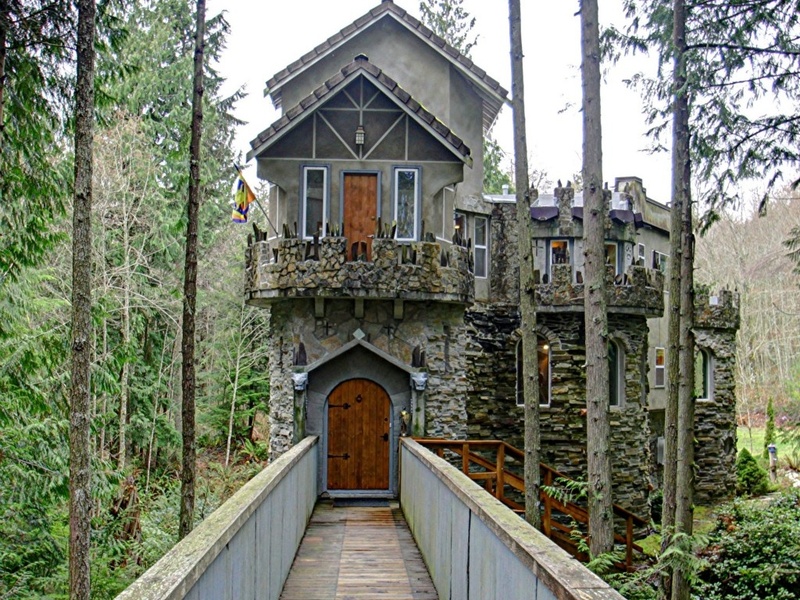 The Castle will have 5-6 private rooms available for rent. Couples, wedding or birthday parties or other small VIP groups will have access to inside facilities such as an open kitchen, jacuzzi spas, library, billiard room and more. Whether you want to cosplay your wedding to the nines, or stay in a place fit for a king during your event, the castle has the best in land. The truly exciting part is that this piece of modern architecture is being constructed with a focus on employing modern, eco-friendly architectural practices and sustainable technology. These methods will help reduce our carbon footprint . 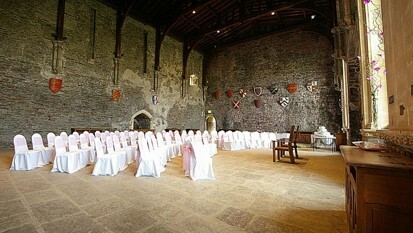 Adjacent to the our crowing jewel, guests will find the Great Hall. Well lit with sconces, walls draped with tapestries and banners, it is ready to fit your event needs. This convention sized facility with small break-out rooms, serves as the perfect banquet room, lecture hall, company holiday part, wedding reception, or grand gaming tournament, the great hall is where ye crowds shall gather to proceed with the festivities.